Looking for some early morning or late night spots to spend some time at near your accommodations? 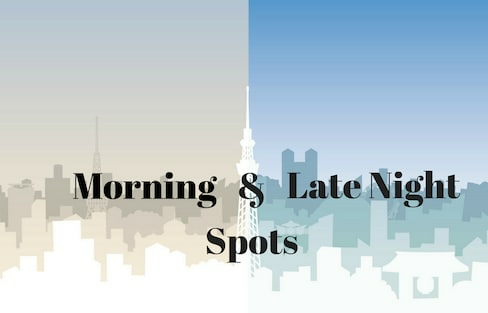 Here are five places to kill time in those strange twilight hours before everyone's awake and everyone's gone to bed! Heading over to Kyoto? Why not stay at Cafetel, a cute, new women-only hotel that comes with its own café, rental bikes, amenities and more? Tokyo's next door neighbor Yokohama is the second largest city in Japan! We're here to help you discover the sights, sounds and scenery of one of Japan's most vibrant port cities. Ring in the New Year at Tokyo Disneyland! Visitors can stay up and party all night in the happiest place on Earth on New Year's Eve 2018! The historic, decommissioned Nara Prison in Nara Prefecture is scheduled to be renovated and reopened as a luxury hotel in 2020. Visionary digital art collective teamLab is back at it again! Their latest installation in Toyosu features huge, color-changing balloons and digital koi fish, and will be open until autumn 2020! Japan has many types of unique accommodations, but it can be hard to keep them straight! 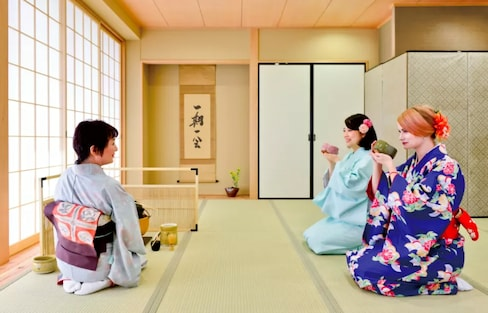 Unsure of the difference between a 'ryokan' and a 'minshuku?' Have a look at our recommendations for conventional (and not-so-conventional!) places to stay! Kyoto is one of the best cities in Japan for matcha lovers! With some many great green tea souvenirs to choose from, how do you know what's best?